Trouble With Bees? Responders Pest Control Knows What to Do! The return of warm weather means bees will be in your garden. While the occasional bee is fine, too many bees means there is now a nest somewhere in the yard. If you find they are getting into the home, the time has definitely come for professional bee pest control. Here are some things you should know about bees and what can be done to keep the problem from getting out of hand. Bee control is necessary for several reasons. The first has to do with the comfort and safety of everyone living in your home. While bees typically do not attack unless someone gets a little too close, it’s easy enough to do so without realizing the bees are near. When that happens, someone will be stung and experience a lot of pain. A person who has an adverse reaction to the sting could have difficulty breathing or need immediate medical attention to deal with other serious symptoms. Protecting those who live in the home is certainly worth the relatively small amount in bee removal cost involved. Bees come in several varieties, but you can identify them by a few specific characteristics. While other insects like wasps have bodies with narrow waists, the waists on different bees tend to be thicker. They also have hairier bodies than other common flying pests. It’s not unusual for some types of bees to have bands of color along their bodies. For example, the honey bee usually sports bands that are somewhat brown or black with alternating bands in yellow or orange. All bees will also have four wings. As any bee exterminator will tell you, steering clear of bee hives is an excellent way to avoid being stung. For the most part, bees don’t attack unless there is some sort of overt threat. One exception is the death or loss of the queen bee. If the hive does not have a queen, the remaining bees are likely to be more aggressive. Keep in mind that if one bee is threatened and stings as a result, more bees will pick up on the pheromones released and join in. Attempting to manage a bee hive removal on your own is not a smart move. Few people have the protective gear on hand to provide adequate protection. There is also the matter of knowing what to do with the hive once it’s removed from a tree or otherwise dislodged. If the proper measures are not taken, the bee removal will only be temporarily successful. An expert from a professional bee removal service has the right equipment and safety gear to manage the job. That includes something to contain the hive once it is down and ensure that it and the bees are disposed of properly. An expert will also know how to check your property for other signs of activity. Choosing to seek out a professional to take care of a bee problem is always the wisest move. 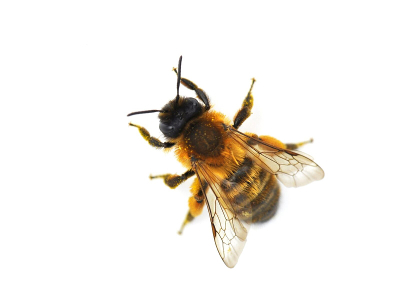 Call Responders Pest Control today if you notice a hive or seem to have more bees in the garden than usual. You can reach us by dialing (604) 757-1000 or using the request form on our website. Since we provide bee removal in Okanagan Valley, Kamloops area, Vancouver and the Lower Mainland, someone will be at your home quickly. Once our expert assesses the extent of the problem and provides a quote for the bee hive removal cost, we can begin removing the bees immediately.